NWA 8251 Meteorite fragments contain brilliant green clinopyroxene crystals, which have earned it the nickname “Green-Eyed” Lodranite. This lodranite breccia creates a uniquely beautiful cross polarized thin section. 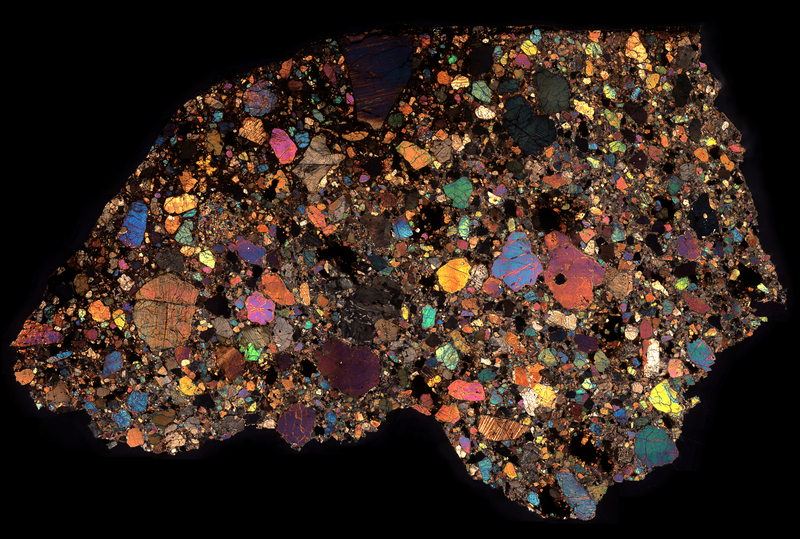 The wide size, texture, color, and features of the individual grains which compose the breccia make this one of my absolute favorite thin sections to explore. Picture of the original fragment.